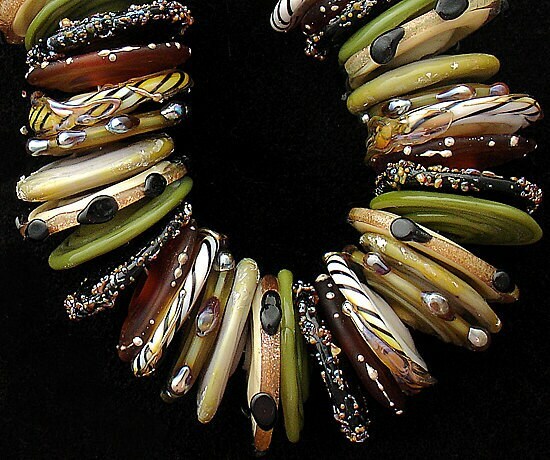 "Animal Discs" A beautiful organic set of 42 lampwork discs made in glass shades of ivory, black, topaz and olive green. 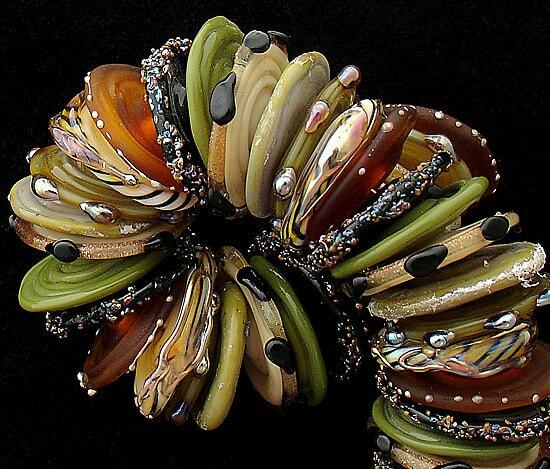 Accents include pure silver wire and foil, silver glass, handmade twisties and terra frit. Measurements are roughly .75" (19 mm) in diameter for each disc. Length of the strand will be roughly 4.75" (120 mm). Please give me 2-4 weeks to finish your beads. If I need to order any special items for your beads, then that may increase the time frame. I want you to be happy with my beads. Please contact me if there are any problems and I will do my best to remedy it. If you are still not happy, you may return the glass discs (within 7 days) for a full refund, minus shipping charges. Lovely beads and arrived early! 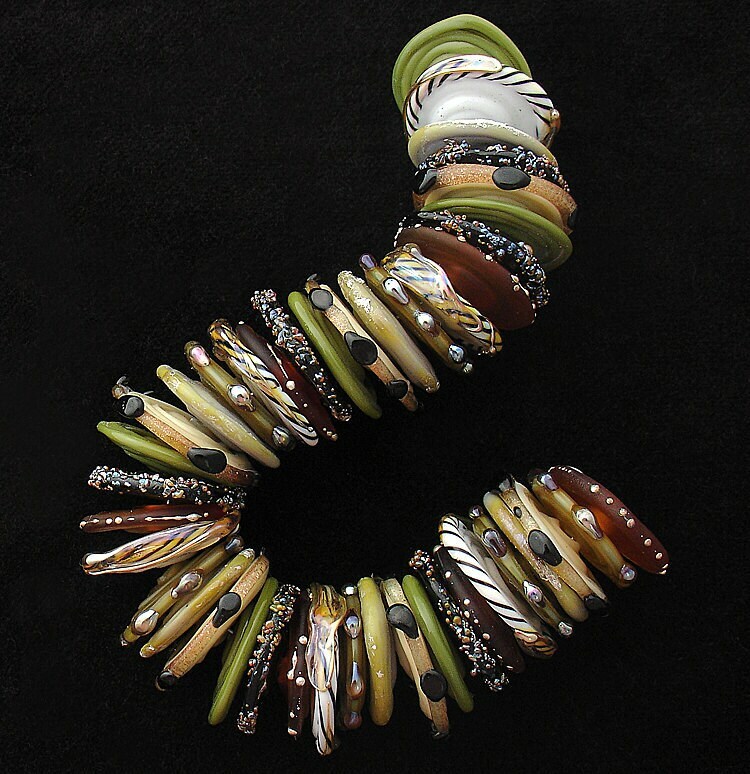 I love jungle themed beads and this are so gorgeous. The beads are really beautiful, the photograph doesn't lie! I am very excited to use them for a special piece of jewellery. They deserve a unique setting.